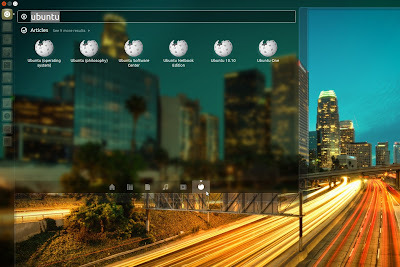 Most of the Unity Lenses and scopes, that adds extra functionality to dash menu have been updated to work with Ubuntu 12.04. Some lenses like Wikipedia lens are new releases. A Lens adds an extra new category to Unity dash allowing you to find specific results from local sources, web and even do calculations. A Scope adds a new source to an existing lens. For example, you can add Flickr scope as an extra source in Photo Lens. In simple words, you need a Lens to look into specific data sources called scopes. Lets look at them one by one. You can install them from Ubuntu Software Center after adding Above PPAs. Ask Ubuntu: A Unity lens to ask questions and get answers on AskUbuntu.com, right from your Desktop. Reddit: It puts Reddit, in your Unity. Binary Clock: A Binary Clock, in your Lenses. Calender: Display calendar events in a lens. Web History: This lens allows the user to search the websites they have visited on their computer. Log out and log in again to activate it. Community: Unity lens for displaying teams, events, meetings and news from the Ubuntu Community. Graphic Design: A lens that displays results from Graphic Design search engines. SSH Search: This lens allows the user to search for hostnames in ~/.ssh/config and ~/.ssh/known_hosts. Torrents: A Unity lens displaying results from various torrents providers in the Dash. Utilities: A lens to access utilities in the Dash Home : calculator, weather and local time for cities around the world, etc. Wikipedia: A plugin to search Wikipedia in the Dash. By using this PPA, you affirm that you are over the age of majority in the jurisdiction you reside and in the jurisdiction from which you access this PPA. If you are under the age of majority in the jurisdiction you reside and in the jurisdiction from which you access this PPA, then you are not permitted to use this PPA.